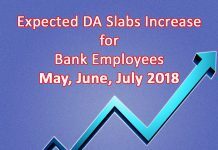 DA Increase Chart for Bank Clerk, Officers, Substaff, Pensioners from Feb 2019 to April 2019 – Final DA Increased by 4 slabs (0.40 percent) for the period from February 2019 to April 2019. 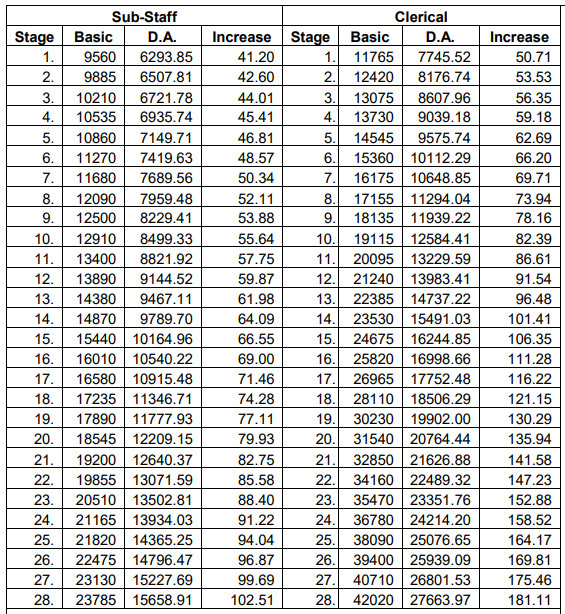 Here is Final DA increase chart for Bank Clerk, Officers, Pensioners and Sub staff. 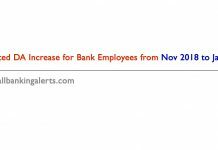 All India Consumer Price Index Numbers for Industrial Workers – CPI(W) for month of October, November, December 2018 has been published by Labour Bureau of Government of India. 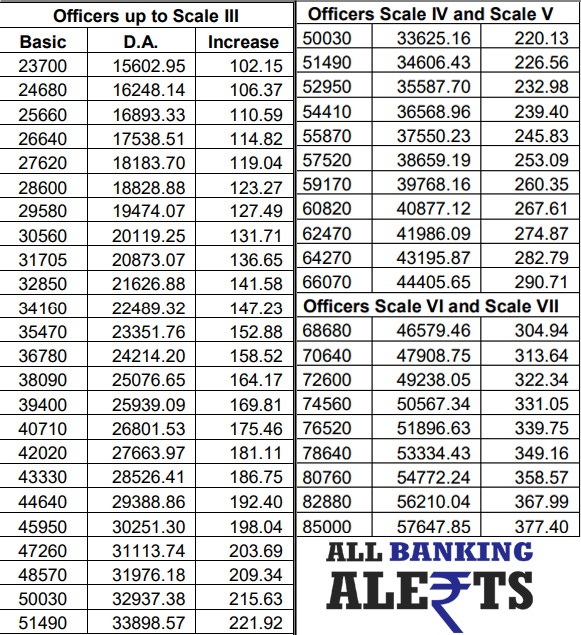 On the basis of CPI data, average CPI for month of October, November and December 2018 is 6885.81. 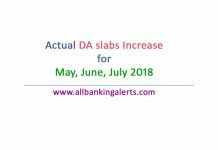 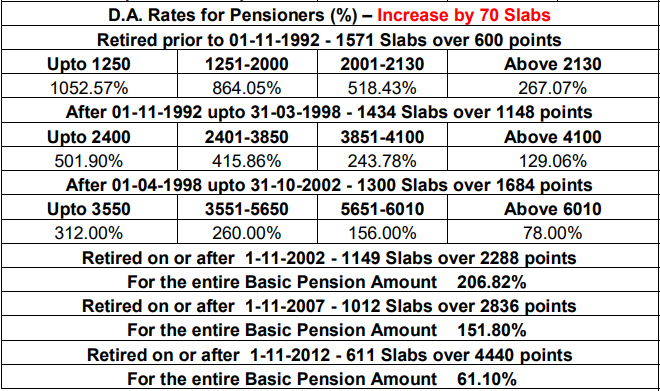 Accordingly, number of DA slabs will be 611 slabs (6885-4440=2445)/4. 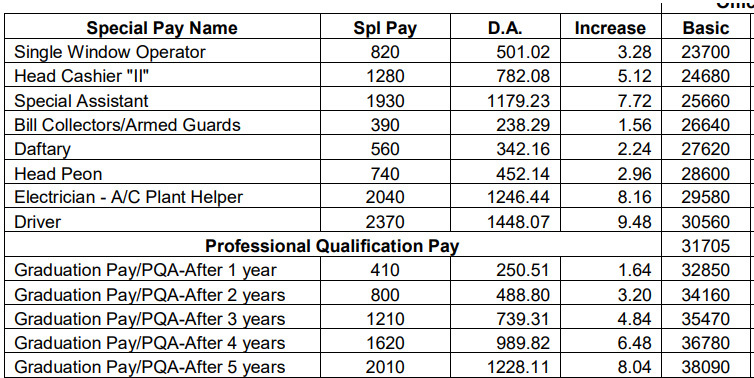 DA increase shown here include Basic Pay and Special Allowance.